339,00 EUR 19 % VAT incl. The thickness of the sheet metal side panels is 2 mm. The side panels are connected with screws M10er. 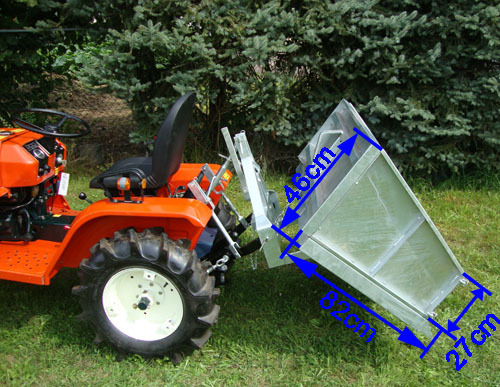 The rear trough may be opened upward or downwards. 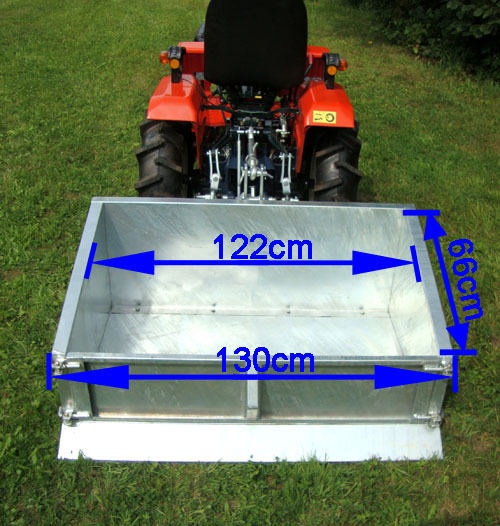 On the side of the tailgate hooks are attached so that the side plates are stable under heavy load. Suitable for KATI. 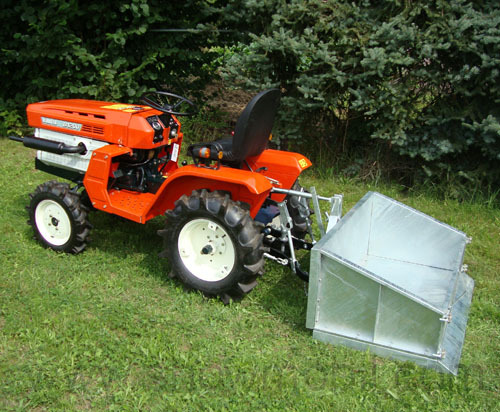 From the tractor the trough can be tilted. The tilt angle can be locked by a chain. 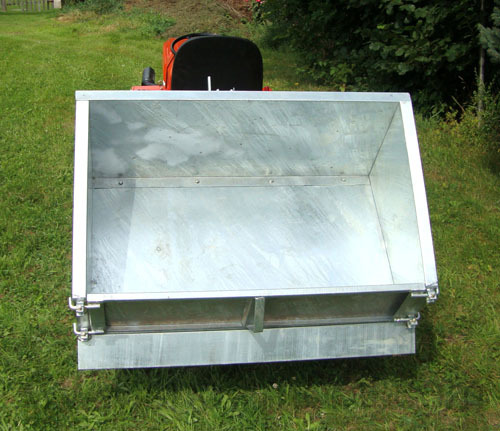 The rear trough is hot-dip zinced / hot-dip galvanised. 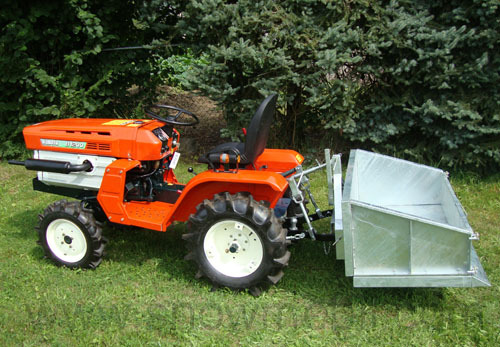 A scraper bar comes as standard. 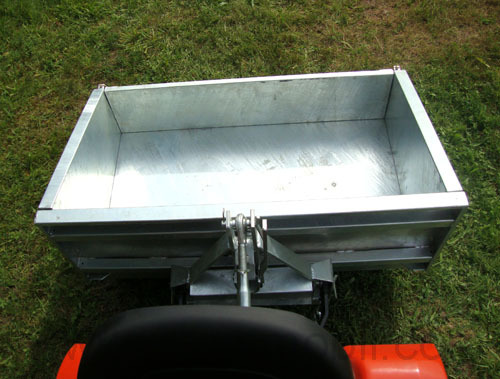 The rear trough is mounted on a stable support frame. 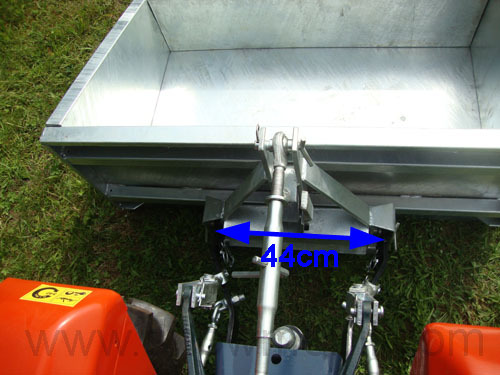 The transport trough will be delivered disassembled - you only need to screw together the trough. Easy adjustments you need to make yourself.